Miveus is an AngularJS base webapp build with a solid workflow (grunt + bower). Contain many useable HTML elements that can easily integrated with your web application. 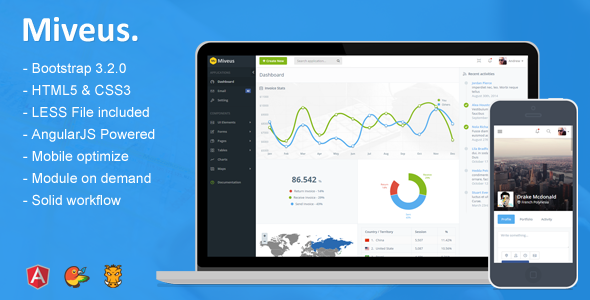 Item Reviewed: Miveus New Bootstrap + AngularJS Admin Template 9 out of 10 based on 10 ratings. 9 user reviews.